Ooh...shading and whatnot. I think I will start shading my comics. More often, at least. 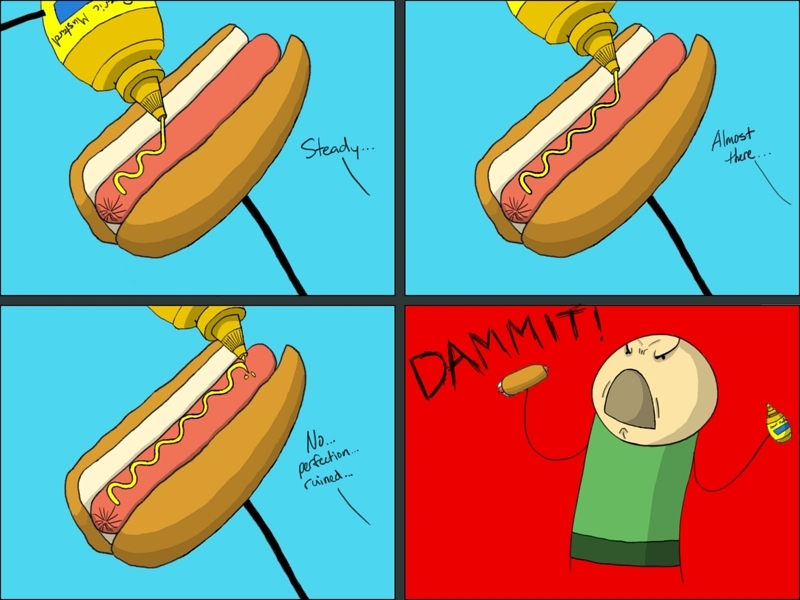 I hate it when I can't get the mustard perfect. Nice job on the shading. What did you use? Mouse pin or mouse? Mouse pin? Like pen? Or is that something different? I used my tablet. Sorry about the misspelling. Wasn't thinking straight but yes, thank you for letting me know. Can you not just SEE the huge pile of slightly imperfectly mustarded hotdogs just off screen? HAHA! I hate that too. I screw up and then decide to just glob it all over the place and then I end up having too much mustard. It's a really tricky issue.